Black Market Flea is back! It’s time to look at some of the cool things you can get at the market this go-round, and with none better than Crafty Queer Studio! 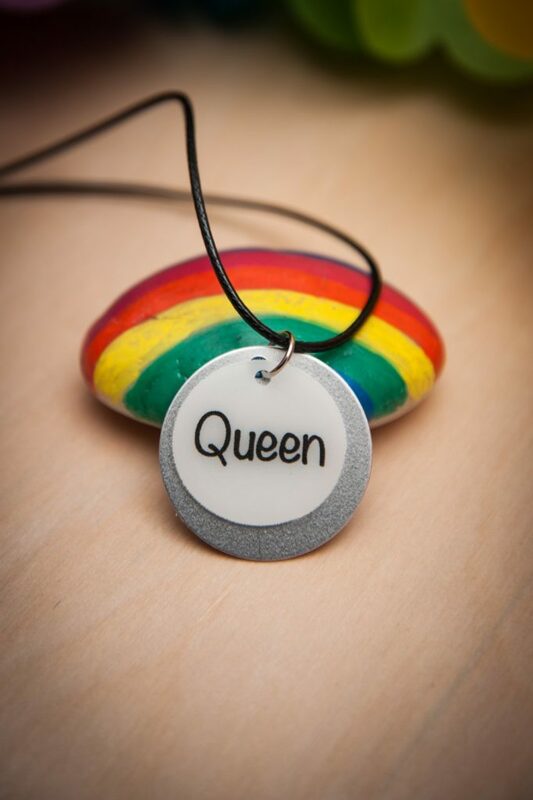 Crafty Queer Studio is dedicated to creating things for the queer community. It’s brand new, so the first items they’re launching with will be affirming queer jewelry and wine charm sets, with the goal to expand into several other avenues (including queer clip art!) Crafty Queer Studio is run by Alex & Coe, a power couple in both life and business. They draw on their varied artistic interests and talents to produce art in a multitude of mediums, delivered in original ways, with fun at the heart of it all. (Fun is the most important part.) They handle everything in the business from making The Things to taking the product shots to fulfilling the orders and answering questions. 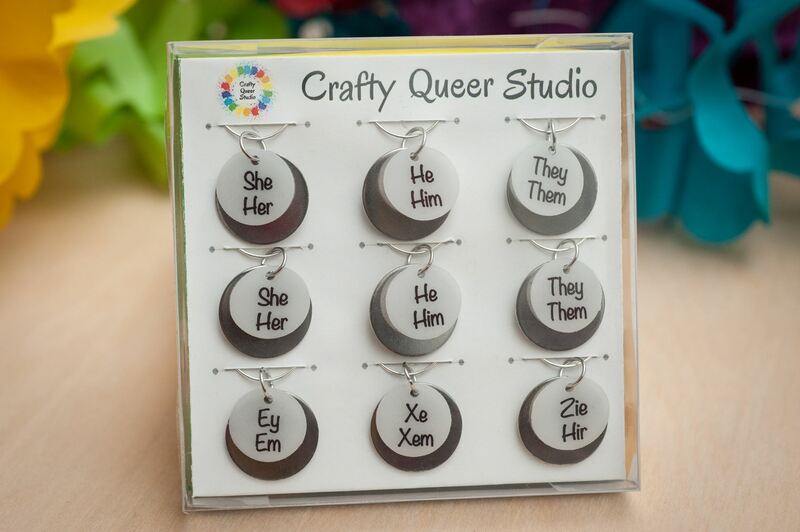 Since they’ve just launched and are still working on building up their stock, be sure to check them out at @craftyqueerstudio on Instagram and on Etsy at /craftyqueerstudio. A wine charm! Wine itself is already pretty charming but this takes it to the next level of charm. These LBGTQ / gender fluid designs on dogtag-esque pendants are super dope. 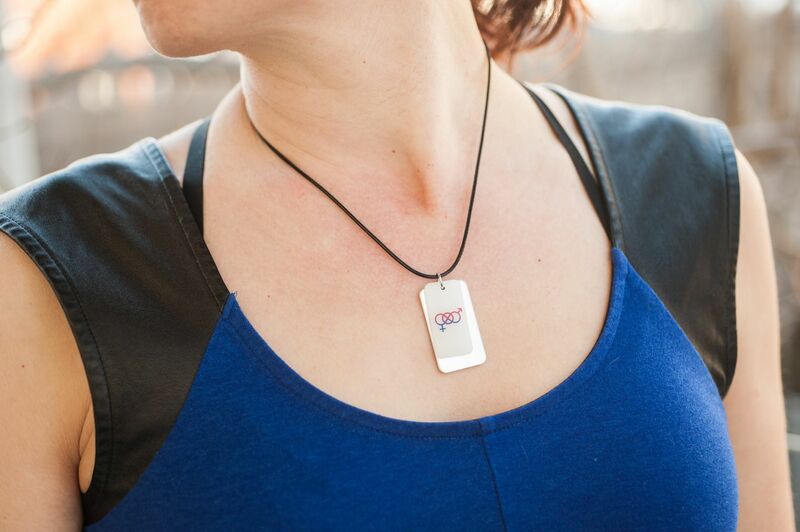 You can now look awesome without your Rambo replicas. Tons of great things to dangle from your neck that all have an elegant simplicity in their design. 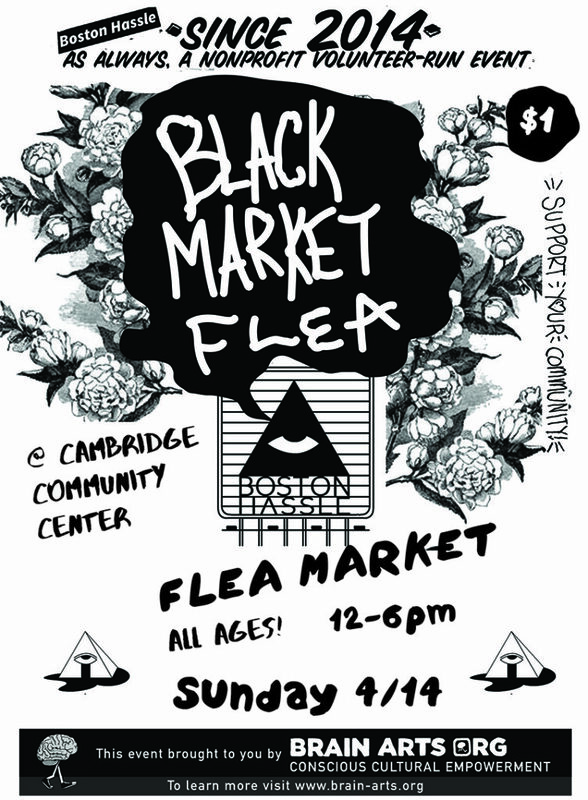 Come on down and check out these goods on April 14 at the Cambridge Community Center!